The cynical response that comes to the fore when an established pop/rock artist like Sheryl Crow makes a country album is that it’s a ploy intended to prop up a flagging career. When the hits get fewer and farther between, you just head to Nashville, ladle on the strings and pedal steel, and you’ve got yourself a brand new audience ready to lap it all up, as if it were that easy. While one would have to be inside the head of Sheryl Crow to determine exactly what her motives were in releasing Feels Like Home, the evidence on the disc suggests that this was a natural progression for Crow’s music rather than a mercenary one. This foray into country music is smooth, polished, and well-executed, with a few standout moments that suggest that this talented songwriter and performer might have been still a star even if C&W got her before pop radio did. Looking back on Crow’s catalog, it’s not surprising that she can make the transition. Hits like “All I Wanna Do” and “Leaving Las Vegas” may have been more loose-limbed musically than your typical Nashville groove, but the detail-heavy lyrics were right from the country playbook. Feels Like Home might have in-your-face hooks (especially on the up-tempo numbers) and gleaming production, but the frank, honest storytelling and emotional punch of the songs, courtesy of Crow and a bunch of ace collaborators, are what lingers. The album also highlights what an outstanding singer Crow is. She nimbly handles the frank come-ons of “Shotgun” and “Easy” and finds the tenderness in quiet character sketches like “Stay At Home Mother” and “Homecoming Queen.” She really goes to town on the soulful “Give It To Me,” a direct plea to a reticent lover that allows her to project power and vulnerability all at once. Feels Like Home goes astray only at the times when it seems like it’s too eager to court hard-core country fans. “We Oughta Be Drinkin’” overplays its raucous nature, while the tough-talking social commentary found on “Crazy Ain’t Original These Days” and “Best Of Times” is strained at best. The album is at its best when it sticks to the timeless stuff about love and loss. On “Homesick,” the ghosts of a departed lover make the narrator long for life on the road; it’s got the kind of stirring heartbreak that can be found on some of Bonnie Raitt’s late-period ballads. “Waterproof Mascara,” co-written with Brad Paisley, is a classic country tear-jerker about a single Mom trying to stay strong for her son. With the killer refrain “Thank God they make waterproof mascara/’Cause it won’t run like his Daddy did,” it’s the kind of thing that Loretta Lynn or Dolly Parton would have knocked out of the park in the day. Comparisons aside, Crow makes these songs all her own. Considering how comfortable she seems in this new setting, Feels Like Home is an appropriate title. 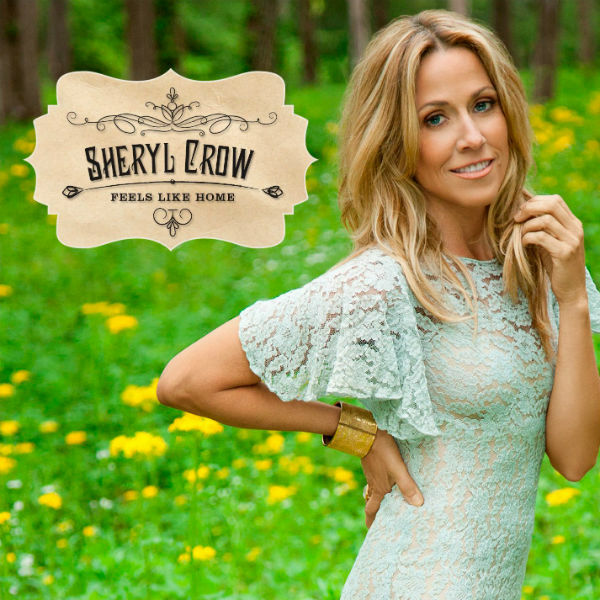 Commercial success will probably determine whether country music is a pit stop or a destination for Sheryl Crow. The genre switch has paid artistic dividends already.